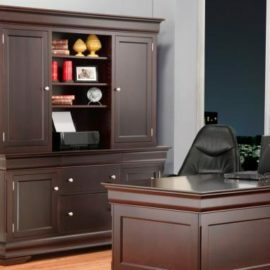 Our solid wood credenzas are the perfect storage solution for your home office. 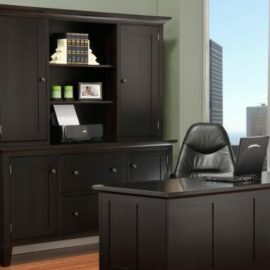 Choose the base unit alone, or pair it with a hutch for even more storage. 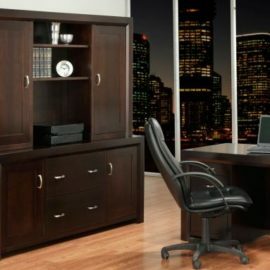 Available is either contemporary or colonial styles, they will be a classy addition to any home or office. 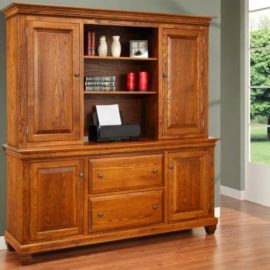 Handcrafted from solid wood and stained to last a lifetime! 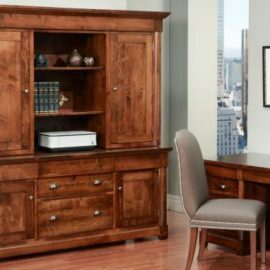 Experience the difference that comes with Mennonite craftsmanship. Styled for today; constructed for life!